In 2015, Connells Group, one of the UK’s largest real estate groups – operating across a number of well-known UK estate agency brands, was looking for new ways to drive revenue from its websites. Their biggest revenue stream was the market appraisal bookings for properties but, at the time, website visitors could only book one through online forms or by phoning the estate agency branches directly. As both of these options required a high level of commitment from the website visitor, finding an easier option for the customer to get in touch seemed like the most natural way to increase the number of market appraisal bookings. After some careful consideration, Connells Group decided to implement giosg solutions on a number of its brand's websites, enabling them to have a discussion with the website visitor via live chat. Eventually, this ability led to a significant increase in market appraisals. But adapting to a new way of connecting with customers wasn’t without its challenges. Using live chat to communicate with customers was something new, and the business setting required a different type of language than what many of the Group's customer service agents were used to in their personal messaging apps. Besides learning to use live chat, another issue Connells Group needed to address was getting the scope of the conversation right. After some trial and error, Connells Group was able to find the right formula for engaging website visitors with live chat and the results speak for themselves. 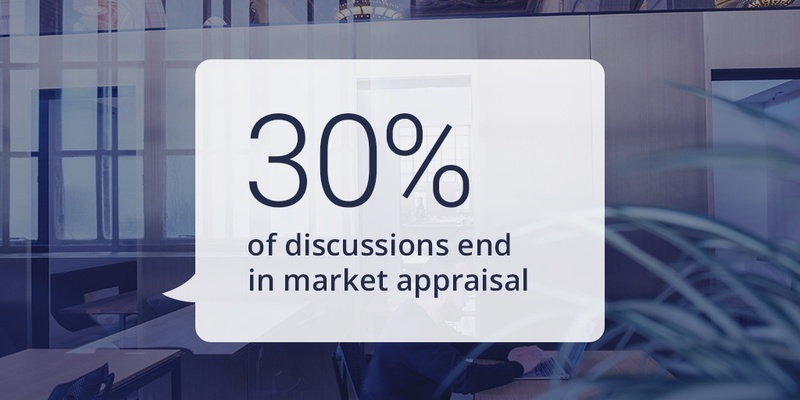 In time, the company was able to increase the ‘conversation to market appraisal rate’ to an astonishing 30%. Furthermore, while the market appraisals went up, the conversation volume went down, meaning that there were significantly fewer irrelevant enquiries. The new channel also had a significant impact on the overall number of market appraisals. 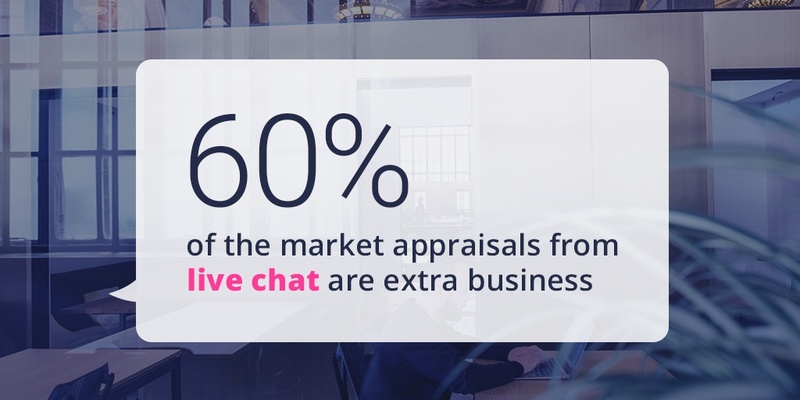 Having monitored how the chat use has affected enquiries from other channels, Connells Group estimates that 60% of the market appraisals from the live chat are an extra business that would have otherwise been lost. Read the whole case study HERE to learn how Connells Group has been able to create a new revenue stream from its websites.